Sustainability and environmental impact of building materials and used construction methods has become a burning issue over the years, why more time and resources are invested into creating more environmentally friendly buildings in every sector, both public and private. This is why certain organizations have developed specific sustainability assessment methods and provide a whole spectrum of different services connected therewith. One such organization is the BRE Group (stands for Building Research Establishment) which includes a few separate entities providing different type of services in regard to building materials safety, performance and sustainability. BRE Global which provides set services to an international market, referring to testing and approval of various products and services in the words of their fire performance, safety and environmental impact. The available services include fire and security assessment and certification against approved standards (such as BS); environmental assessment; approval to acknowledged management standards; consultancy services; investigation and research services and training courses. BRE Ventures supports technical innovations, by connecting innovators and potential financiers and investors in order of exploring and placing new ideas with the unlimited use of professional services and support provided from the BRE Group. The available services include evaluation, audits, necessary due diligence, professional advice, research and management, funding support and required demonstrations. BRE Group offers a wide range of services, all directed towards creating a safer and more sustainable building environment, through proper assessment and certification, consultancy and research, including investing into new and innovative solutions and ideas. BREEAM (short for BRE Environmental Assessment Method) is a recognized and one of the most frequently used assessment method, setting the best practice standards in building sustainability, in order of making sure that adequate environmental practice is implemented so that living costs are reduced and living environments improved. Environmental Profiles Certification Scheme which provides and independent assessment of building materials and products and their performance, from the manufacturing stage to implementation and use. This can be beneficial not only for manufacturers since they can provide their customers with the guarantee that the product they are placing is properly tested and certified, but for the consumers as well, since they can rest assure that the construction material they are using in sustainable and safe. 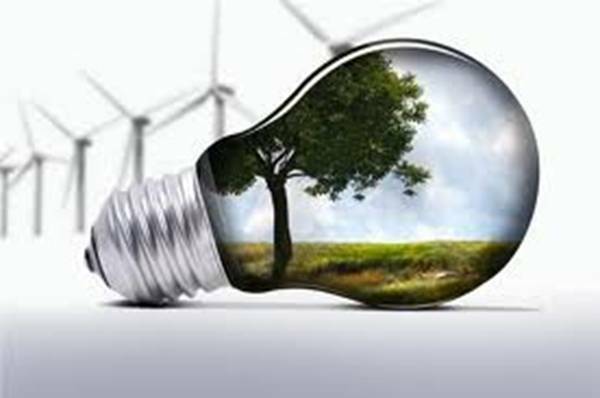 Microgeneration Certification Scheme is a part of BRE Group certification services important for improved energy efficiency and reduction of carbon emissions and fuel consumption in the UK. The assessment is available for some energy efficiency improvement measures and technologies such as heat pumps, biomass or solar panels. A valuable fact is that the MCS is in connection with the Low Carbon Building Programme which offer grants for those applicants using MCS certified products and installers. Green Guide to Specification is a very easy-to-use guide containing a large number of specifications referring to the building materials and products environmental impact in both commercial and residential buildings, but also industrial, educational, retail and healthcare. The Guide covers some basic structural elements of a building and ranks their environmental impact so that the designer can compare and choose materials that can fully meet the set requirements of a building. These elements include external and internal walls, upper and ground floors, roofs, floor finishes, windows and insulation. 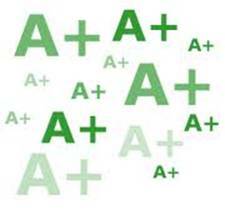 Each building or insulation material covered by the Guide is rated from A+ (being the best rating, meaning that the product has no or low environmental impact) to E which is the worst rating. The Green Guide rating as a measure of an overall impact covers climate change, fossil fuel depletion, waste disposal, human toxicity, ozone depletion and some other important issues. Apart from the mentioned services important for the environmental protection and energy efficiency, the BRE Group also offers other services and covers other areas, such as fire and security certification, management quality systems, consultancy services from building planning and design to refurbishment, research services and testing. PIR rigid board is the most efficient thermal insulation material used in construction. An optimum performance "2 in 1" insulation product to enhance thermal insulation for walls and roof projects. Gypsum board is the premier building material for wall, ceiling and partition systems. An asbestos-free thermal insulation that withstands continuous high operating temperatures. Adhesives are designed to fix insulation external walls of the buildings, primers are used for prepare the surfaces, renders to be applied over the surfaces for finishing. Paint is used for protecting faades, concrete constructions, interiors. It can be applied on the mineral substrates such as concrete, cement plasters, limecement plasters and lime plasters that have never been painted before. Cladding and weatherboards are available in uPVC, fibre-cement that gives the visual appeal of natural timber. We sell roof insulating products from leading manufacturers. Installing loft insulation could cut down your energy bills significantly and the payback time is also very quick, within about 2 years. About 25% of heat is lost through the roof in an uninsulated home, so this is a big saving! Premium quality plasterboards, insulated plasterboards and accessories for acoustic and heat insulation for under ceiling mounting. PIR boards, Polystyrene, Glass and Mineral Wool Slabs, Batts and Rolls. Pipe insulation materials are used to retard the flow of heat energy by reducing heat loss or gain from pipe work and also as acoustic insulation. Void Former is a lightweight material in structural concrete in foundations, beam and slabs to fill structurally non-working areas and against clay heave. Mould eradication and mould resistant materials, fungicidal barriers, fungicidal emulsion paints to safeguard your living conditions. Thermal and acoustic insulation slabs and batts for use in cavity walls, loft conversion, partition walls, floors and ceilings. Top shelf manufacturers: Knauf, URSA, Rockwool. Buy cheap at Insulation Shop and London. Order all insulation materials online. Fast delivery, low prices for insulation accessories and all types of insulation. If you can't find the insulating product you need in our online shop ask for quotation. All Insulation Shop insulation products. We offer a wide range of insulation products for all types of commercial and home UK insulation projects.